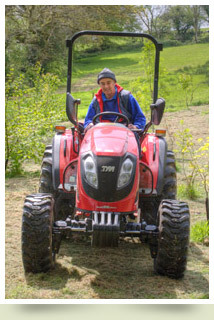 We have a Mini Compact Tractor with a Mower/ Topper and a Hedge-Cutter, which can enter a five-foot gateway. Can you get into your orchard or large garden to prevent it becoming overgrown? Have you got overgrown pathways that need cutting back? Call us to give you a free no obligation quotation.